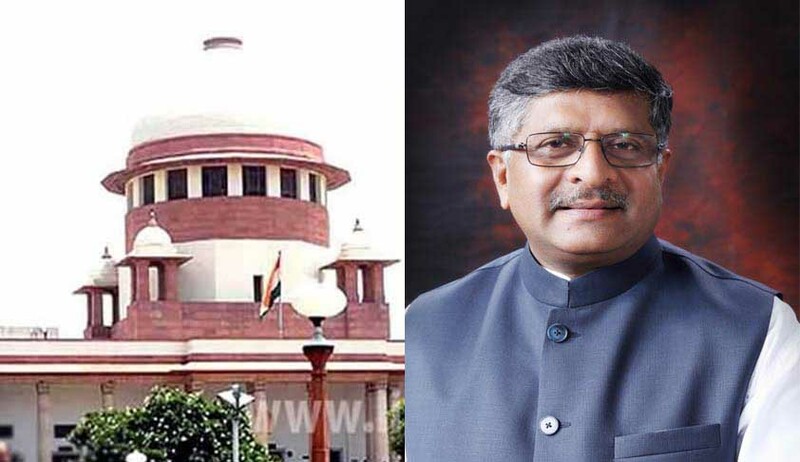 The Centre on Monday reportedly returned the names of 13 Judges recommended by the Supreme Court collegium which had already iterated appointment of these Judges for Allahabad High Court. The Collegium was asked to reconsider the recommendations, with Attorney-General Mukul Rohatgi telling a bench led by outgoing Chief Justice of India T.S. Thakur that they had found “certain inconsistencies” in the recommendations for 13 new Judges for Allahabad High Court, out of the 37 names reiterated by the collegium for various High Courts. During the hearing, Senior Counsel Ram Jethmalani and Gujarat Bar Association President Yatin Ozha alleged deliberate delay on the part of the Government in transfer of a Judge from Gujarat High Court. The transfer had been recommended by the collegium in April, 2016. Mr. Ozha also made reference to the case of Uttarakhand High Court Chief Justice K.M. Joseph, whose transfer to the High Court of Hyderabad has not been confirmed till date. The Chief Justice also agreed with Mr. Jethmalani’s contention that public perception would be affected if a Judge is transferred but continues to hear a case. Earlier in November, 2016, the Parliamentary Standing Committee on Personnel, Public Grievances, Law and Justice had solicited memoranda on the delay in filling up of vacancies in the Supreme Court and the High Courts. “Around 42 percent of sanctioned posts in higher judiciary are lying vacant for quite some time now. Such a large number of vacancies is alarming in nature and has direct bearing upon the access to justice for common people. The Committee intends to address systemic short-comings in judicial appointments and suggest improvements to streamline the existing procedure and process for appointment in higher judiciary,” the advertisement stated. Allahabad High Court has the largest number of vacancies, standing at 75. It is hence currently working at less than 55% of its approved strength, along with the High Courts of Hyderabad, Chhattisgarh. Jharkhand, Karnataka and Calcutta. High Courts of Meghalaya, Tripura and Sikkim are functioning with 1 vacancy each. Further, even though Punjab and Haryana High Court has the second largest approved strength, it is working at 55% of that strength. With the High Courts functioning at 60% of their approved strength, the dream for reducing the pendency of cases is unlikely to be realised in the near future.